Today Walt Disney World has put forward plans to add a new slide to Typhoon Lagoon. The Orlando Business Journal estimates completion in Summer 2017. That would put the new attraction on par with the opening of Universal’s Volcano Bay water park. 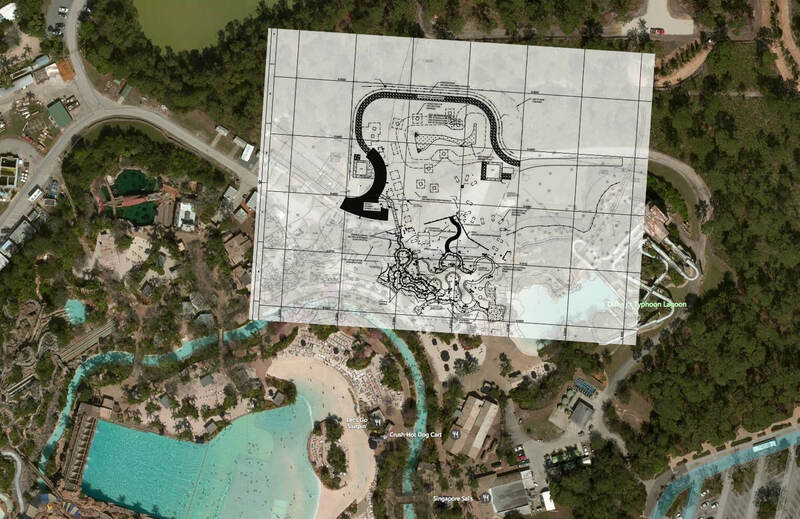 The theme park giant’s plans include the “construction of new guest areas, including a water feature. Sidewalks and landscaped areas will be provided for guest access,” according to state records. “The project under consideration is a new family raft ride that is to be located west of the Crush N Gusher ride,” said an engineering document included with the plans. Other details indicate the water ride would include an “elevated flume/track” and be supported by columns. Geographically, the new addition would be located at the northern-most portion of the park, which is currently just backstage operations space. There’s no clear timeline included with the documents, but it’s possible the attraction would be ready sometime in 2017. This upcoming summer season may be too soon, and the water parks generally begin to pull back on operations as the winter months near.